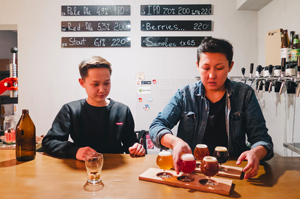 Tucked away in an unlikely spot, wedged between a domino club popular with Turks and a Soviet-built apartment block, is a treat for beer-lovers in Bishkek, Kyrgyzstan’s capital. 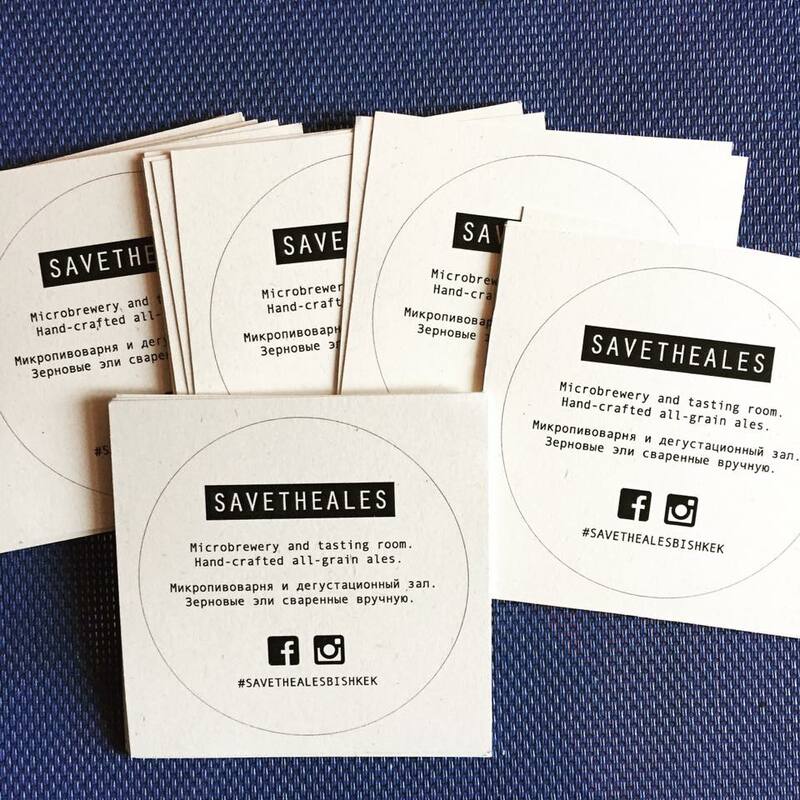 Save the Ales, a microbrewery set up by a Kyrgyz-Kazakh pair, Aida Musulmankulova and Arzu Kurbanova, may be small and spartan. But what it is doing to Bishkek’s drinking culture is little short of revolutionary. While bland imported lagers and watery local brews have long been the norm, Save the Ales is turning out its own homemade craft brews, borrowing from a trend that has established deep roots in the United States and elsewhere. “Wherever we have traveled, we have always tried good beer,” said Musulmankulova. Around three years ago, she and her partner, Kurbanova, decided to take the plunge. Craft beers tend to be more experimental than classic European-style lagers and pilsners, and are brewed in kegs rather than casks, as is the case with traditional British real ale. And it is not cheap either. 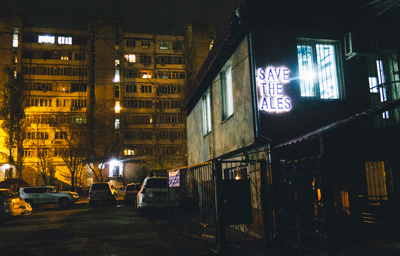 Save the Ales charges an eye-watering $2.80 per glass, a sum way out of reach for most people outside the bar’s target market of upwardly mobile Bishkek urban types and expats. Musulmankulova and Kurbanova say they are spending the profits on developing their fledgling business and reinvesting. The bar has been a stop-and-start affair. Save the Ales first opened in May, quickly gaining a strong following, but it had to shut for almost a month in late September due to an electrical fault. The dedicated aficionados of the pair’s high-strength India Pale Ale, stout and fruit-flavored beers finally got their bar back in October. A noticeable emphasis is placed on providing the real deal at Save the Ales. Bishkek has no shortage of novelty theme pubs that are low on character and often focus their efforts to lure in customers on big TV screens and loud music. In established markets, craft beer is a big business. According to the US Brewers Association, the sector’s retail dollar value in the United States was estimated at $22.3 billion for 2015, representing just over one-fifth of the country’s beer market. Beer is increasingly popular in Kyrgyzstan, but drinkers are prone to quote the old Russian saying “beer without vodka is money [thrown] to the wind.” The market share for craft beers is statistically insignificant, but the mission of Save the Ales, where the beer is brewed on-site, for now is to slowly cultivate more refined tastes and habits. Unlike almost all Bishkek beer bars, Save the Ales served no food until recently, although it did finally relent by providing lite bites. Kurbanova and Musulmankulova say that over half their sales are to expats, although the share of young, urban middle-class barflies is growing. And the contingent of baikes — a term denoting “elder brother” in Kyrgyz, but also synonymous with portly middle-aged men — is creeping up too. When the new client tried the beer, however, “his attitude changed completely,” Mamyraliev recalled. Musulmankulova and Kurbanova for their part have nothing against hiring a male staffer, especially since brewing can sometimes be physically taxing. 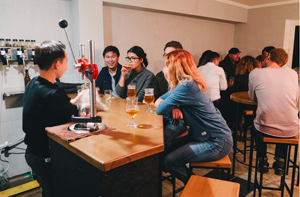 Mamyraliev argues the success of the tiny brewery pub points to an emerging start-up culture in Kyrgyzstan, which has Central Asia’s most vibrant civil society. According to the World Bank’s Doing Business index, Kyrgyzstan remains the easiest country in the region in which to register a new business. Alan Laing, a British customer who works in international development, agrees the pub is “a hidden gem”. Kurbanova attributes their beer’s popularity to a maximalist approach to brewing. They spare no expense in bringing in ingredients from Germany and the United States, in contrast to the cost-cutting attitude typical to other breweries. That has led to invitations to serve beer at arts festivals and music nights, which the pair have accepted, as well as offers from admiring competitors to purchase their beer or even buy out the business completely. So far, they have resisted all such overtures. This article was originally published by EurasiaNet.org on 9 December 2016. and is reposted here with permission.